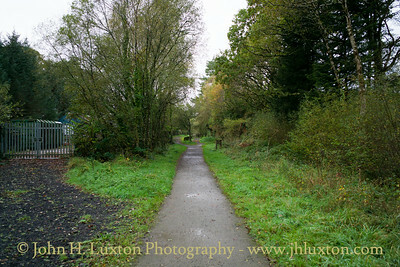 Petrockstow railway station was a station serving the village of Petrockstowe in Devon, which is located about one mile away. The station name was spelt without the final "e" of the village name. 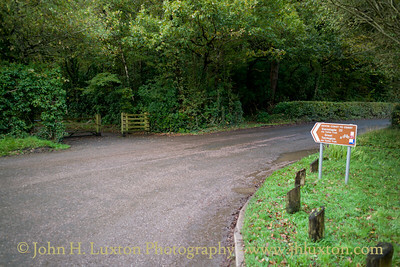 The railway through Petrockstow was originally built as a narrow-gauge freight line to carry ball clay to Torrington from the Marland and Meeth clay pits. 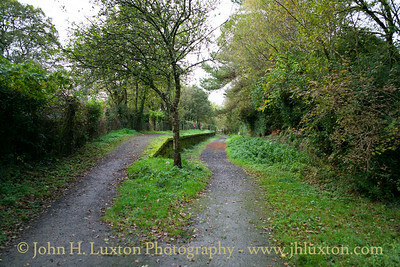 The Torrington and Marland Railway then became the basis of the northern section of the North Devon and Cornwall Junction Light Railway which was operated by the Southern Railway. 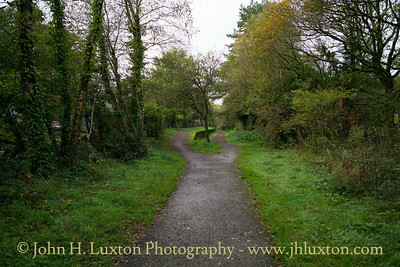 The North Devon and Cornwall Junction Light Railway opened in 1925 became part of the Southern Region of British Railways in 1948. 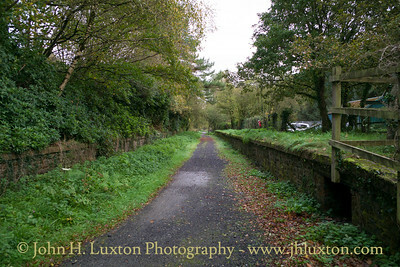 A victim of Beeching, the line closed to passengers in 1965 but it remained open for freight trains and occasional excursions trains until 1982. 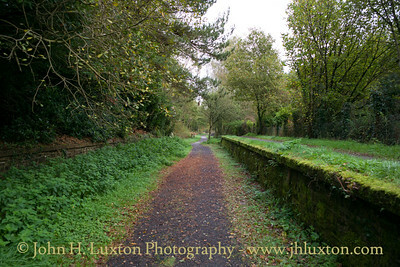 In 2014 a small group of local railway enthusiast began clearance work at the station, clearing the platforms and vegetation. 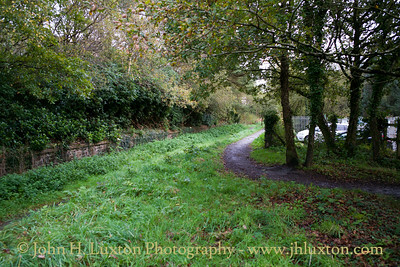 It is hoped to partly restore the Station, in conjunction with the owners, Devon County Council. 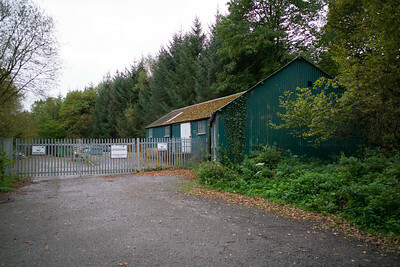 The former goods yard and buildings are now used as a council depot. 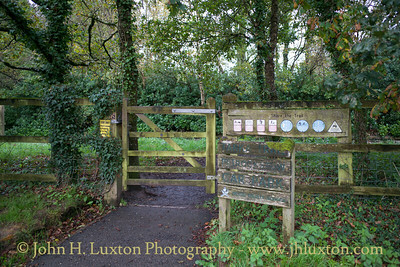 Gate leading on to the Torrington bound platform. 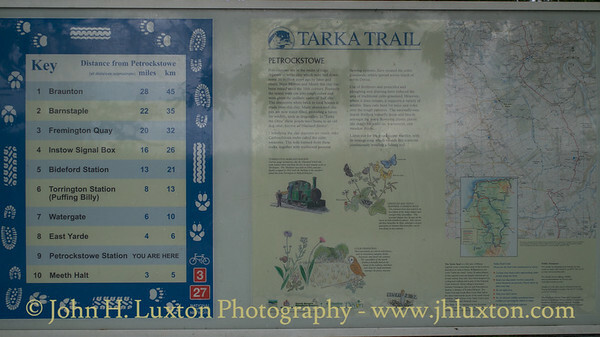 Tarka Trail information board at Petrockstow Station. Entrance to the station yard. 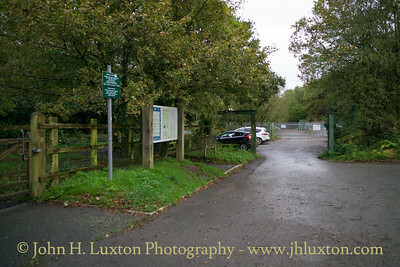 The level crossing at the Torrington end of the station. 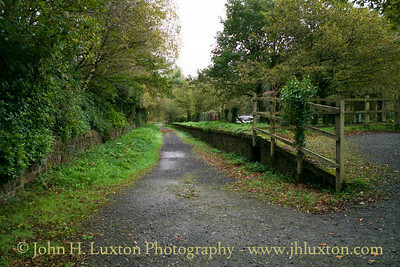 Compare with the image http://www.jhluxton.com/The-35mm-Film-Archive/Railways/The-Withered-Arm/North-Devon-and-Cornwall/i-6Wf8QHT/A which was taken during track lifting in 1984. 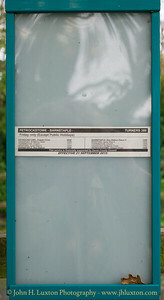 Bus timetable at Petrockstow Station. 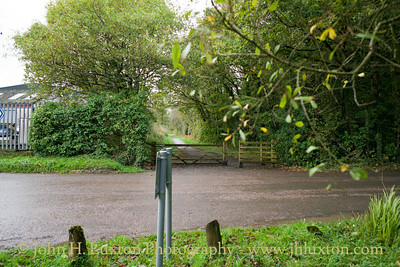 Vestiges of the rail replacement service remain with a Saturdays only bus service from Petrrockstowe to Barnstaple via Bideford operated by Turner's Tours. 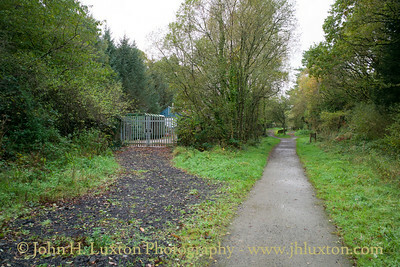 Station viewed from the Torrington end looking towards Halwill Junction. 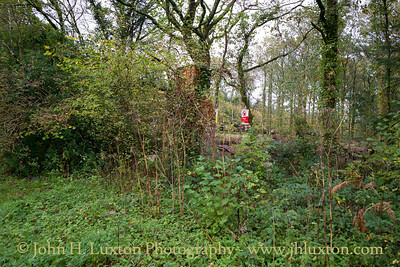 Remains of a PW workers' hut. 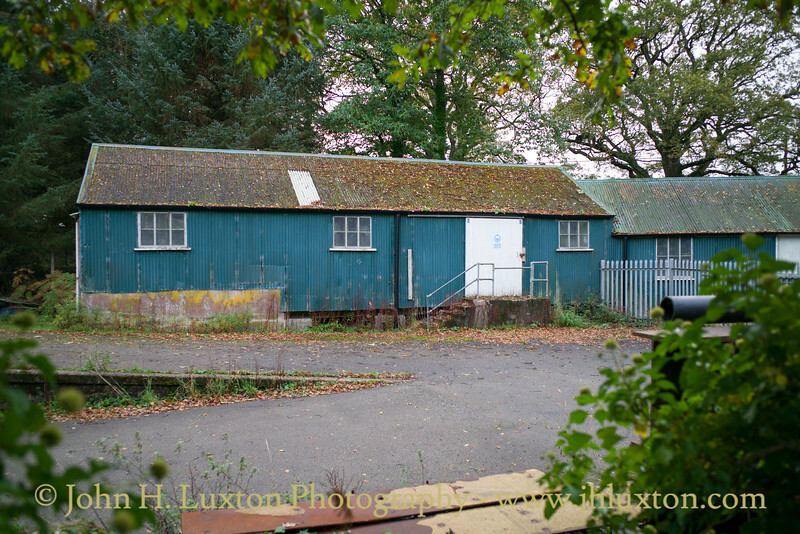 The original goods yard buildings are now part of a council depot.